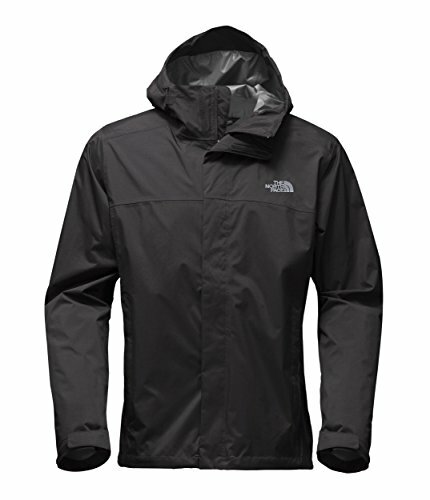 The North Face Venture 2 jacket is a popular rain jacket with many hikers. With that in mind, I wanted to take a closer look at it's make-up and capabilities. The North Face Venture Jacket has been around a long time, and the Venture 2 is the latest iteration. It is a popular rain shell jacket. For day hiking and general day-to-day use, it fits the bill nicely. The North Face Venture 2 jacket for men has been around a fair while and is one of their most popular rain jackets. The Venture 2 is the latest iteration of the TNF Venture jacket. It's a bestselling rain jacket from the North Face and editors of Backpacker Magazine awarded the predecessor of this jacket for its eco-conscious construction. I've known the Venture jacket for some time now. It has a lot of fans for sure but it has a lot of critics too. In terms of hiking anyway, I got the impression that the Venture may not be as protective from the elements as other rain jackets in the same class are. In brief summary, the Venture 2 is a basic rain jacket model falling in and around the 100 dollar price mark, give or take the usual 30 or so dollars for buying in a sale or such. It does fall into the category that I feel is most suitable for hiking rain jackets. It is affordable and functional and comes with most of the various features I would look for in a decent rain jacket. The Venture 2 is waterproof, it being a rain jacket you would expect that of course, with a PSI (Pounds per Square Inch) of 25. Ratings are at best a guide and don't always necessarily guarantee performance. However, from my extensive look across user reviews overall, the venture seems to perform reasonably well in this category for a budget rain shell jacket. I mention this in most rain jacket reviews so I will add it again here as it's important to understands. The waterproof capabilities, broadly speaking, come from a Durable Water Repellent Finish on the outside of the jacket, the Polyurethane mentioned at the top of this review. This makes water bead and roll off the jacket. This coating is good for a time but it will wear off over time. Therefore maintenance and good care is very important when trying to get the most out of a rain shell jacket. You also have to be realistic with your expectations for 100 dollars. You are not buying a jacket for life but it should keep you good in a rain shower whether you're out on the trail or walking across town for a reasonable period if you take care of it. In summary, you can expect average to good rain protection from the Venture. For breathability, the Venture 2 scores a rating of 750g -800/m²/day (this basically means over the course a 24 hour period the jacket fabric allows 750/800 grams of moisture to escape per meter squared of the fabric). From my research on the venture jacket, the general consensus I found was that the breathability in terms of the material was OK. I saw a couple of side by side tests done and in comparison to some other similar rain jackets in the same budget category, the Venture 2 didn't perform as well. Now, I feel it's important to say that for budget rain shell jackets, you can always only expect so much from the material construction of the jacket, even with the better ones, when it comes to breathability. In case you're reading this and aren't sure what I'm referring to, breathability just means how much air can get out from the internal environment while still keeping the rain out. So, condensation in the form of sweat vapor versus water in the form of rain and so on. This is also known as wicking and you can learn more about that here. Now, I don 't want the above to sound too negative. It's just a reality for this and other rain shell jackets. As mentioned already, the Venture feature’s 2.5 layer construction that utilizes a TNF specific technology called Dryvent. Dryvent 2.5 construction is an applied polyurethane coating that is combined with a print matrix that acts as a dry-touch, half layer coating, the 0.5 part of the 2.5. That's the DWR reference in the last section. The print matrix half-layer adds durability and comfort by physically separating the DryVent PU coating from the skin eliminating the need for a liner. The goal of this is to stop the jacket from sticking to your skin inside if you're sweating. Where the Venture 2 has a distinct strength in terms of breathability, is in the department of air ventilation. The Venture features pit zips which, by most user accounts, works very well. Pit zips are zips underneath your arm pits and they offer a quick and efficient way to let hot air out from the internal environment around your body. This is further complimented by the two hip pockets which are made of mesh. These further act as ventilation ducts if the zips are open so you have some more options to help get the internal temperature down if it gets too stuffy inside. As mentioned, all of these work pretty well by most user accounts that I read so you should be able to stay cool and dry in bad weather while exerting yourself. In terms of comfort, the men's North Face Venture 2 jacket again scores pretty average across the board from most of the reviews I read. The hood fits pretty good but a common comment I came across was that some of the adjusters, for the hood and the hem, are quite small and fiddly. Not ideal to get at if you have gloves on but again, for 100 dollars, it's not a major design error either. In terms of hiking, we're thinking of layering and I didn't see any specific issues with regards to that aspect of the Venture 2. It has enough room underneath to allow multiple layers of undergarments, a must for the trail while maintaining a secure internal space. A very broad range of sizes are catered for and from the majority of the user reviews I read, the Venture fits true to size for most. Another nice feature in terms of comfort is The brushed chin guard lining. This lining gives a soft and scratch-free feel when the jacket is fully zipped up to protect you from the hardest that the elements can throw at you. I should add that I did read some comments on people having issues with the Venture 2 in terms of sizing. Specifically, they were referencing the jacket being too big in relation to the listed size, so keep that in mind if you plan to purchase. That might also be an exception rather than the rule though. The claimed weight of the venture is 11.05 oz (varies based on size) and this has definitely dropped a few ounces since the last version of the Venture jacket, which is great. For a hiking rain shell jacket, weight is of course an important consideration and where rain jackets, even budget ones like the venture, really shine. Their lightweight construction means they're easy to wear as well as to carry. As mentioned already, the Venture feature’s 2.5 layer construction that utilizes a TNF patented technology called Dryvent. This construction basically involves the application of a polyurethane coating combined with a print matrix that acts as a dry-touch, half layer coating. The print matrix half-layer adds durability and comfort by physically separating the DryVent PU coating from the skin. The DryVent 2.5L eliminates the need for a liner and so is commonly referred to as a 2.5L layer fabric. This jacket's 40D ripstop nylon is strong and should provide a decent amount of protection and take a fair amount of abuse while still maintaining it's core capabilities. In terms of packing the jacket away, the Venture is stowable in it's own hand pocket so it can be easily packed away efficiently. The light weight build of this jacket and it's self storage capability are a plus for the Venture jacket. In terms of features, the Venture 2 has most of the standard stuff I look for in a hiking rain shell. The hood is fully adjustable and closes tight to protect you from the worst the elements have to throw at you. I did read some comments about it being a bit fiddly which could be a pain if you're having to manipulate it in high winds and colder weather. The hood doesn't have a stiff brim or peak either which is a nice thing to have to help your line of visibility. The hood should be large enough to accommodate most helmets as well. The zips down the front of the jacket can be covered with a stormflap which runs right up to the chin guard, so you can get a snug internal enclosure going. The hem of the jacket is easily adjusted using the cinch drawcord. These are usually pretty standard in most jackets and usually work pretty well although the comments about things being 'fiddly' that I mentioned above applies for here too. The one downside I came across with the hem is that it actually sits quite high on the waist so if you stretch up, the jacket will start to ride up your back a bit and leave your waist exposed which isn't ideal. In terms of pockets, there are 2 standard zippered pockets and the jacket packs up into one of them. The North Face Men's Venture 2 Jacket is a functional jacket in the budget to mid-range side of the rain shell category. If you shop around, you will probably get away with anywhere from 70 to 100 dollars which is a pretty good deal. Check out the pricing table above as well as the coupon links in the side bar as you may be able to get an even bigger discount on the jacket with them. I think for functional capability and features the Venture provides, it is fairly priced. It will cover the needs of most average hikers and won't break the bank in the process so it is worth putting on your review list for sure. Click on any of the links in this page to check for an up to date price. The jacket will also be perfect for lots of standard day-to-day use too. The Venture 2 is a reasonable option, probably not the best though, as a hiking rain shell jacket. The margins in performance between it and it's closest rivals in the same category are small enough to be inconsequential in many cases. 3 season use on the trail will be grand and you might get away with 4 depending where you are on the planet. I'm not sure if I'd consider it a good option for a backpacking trip, something lighter and even more packable like the Marmot Precip, it is probably a better option for that kind of trip. As alluded to in the last section, the Venture is perfect for day-to-day use. It looks pretty good and it won't look out of place with a pair of jeans or slacks. It will also work well for most outdoor use where you need a bit of rain protection e.g. fishing, camping, etc. As of the date of this post, from about 152 reviews I totaled across five retailers, 67% of people gave the Venture Jacket 5 stars and 83% 4 stars or more! They're very good scores for sure! It has good customer ratings over an extensive period of time and it has won awards in the past, so you need to take that into consideration too when judging this jacket. I think it falls into the higher brackets for performance and looks pretty good too. If you're still not sure, check out our best hiking rain jackets for men. Have you used the North Face Venture Jacket? What was your experience with it? I've love to hear about it in the comments below. I was destracted by the following, and I post this with hesitation and in the spirit of helping aspiring writers to develop. I am not a writing expert, and this is only my opinion. I hope it is helpful. The expression “day to day” means every day, or daily, or, more precisely, it means “for this day then tomorrow, and the next day, and every day thereafter.” The phrase “day-today” is meaningless, and thus evidence that the expression “day to day” may have become a cliche rather than an expression. The author is not at fault, the mistake should have been picked up by the editor or proofreader. Again, I’m not an prose expert. I hope you find this helpful, and thanks for the article.